Instead of Darwinism, we almost had Wallacism. 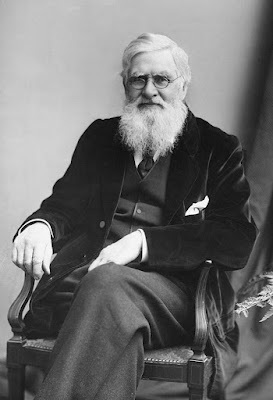 Alfred Russel Wallace was a contemporary of Darwin, and arrived at very similar ideas on evolution by natural selection. Perhaps they were both influence by Comte de Buffon. Like other evolutionists at that time, he had little or no formal scientific training (Darwin studied theology), but Wallace did a passel of fieldwork and did some real science. 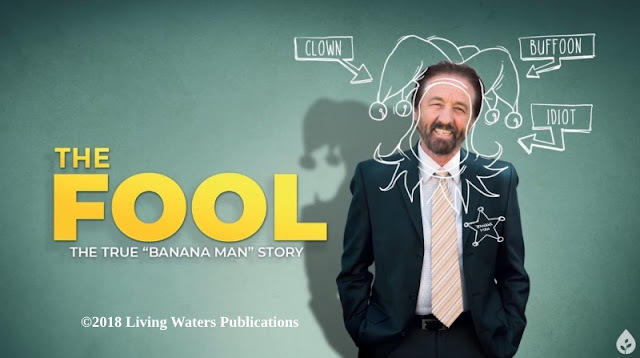 When Chuck found out about Alfie's ideas, he hurried up and had his book published first. One major difference between Wallace and Darwin was the teleological (purpose and design) views of Wallace. For Darwin and his disciples, any hint of a Creator was bad medicine. Don't be disunderstanding me now, the two gents rode for the evolution brand for the most part, but Wallace was not an atheist. Although Darwin and Wallace had some disagreements, I am not aware that they went on letter-writing campaigns to discredit each other or say, "You're a liar!" Rational thinking does not work that way. Wallace supported "Spiritualism" (really, it's spiritism) like A. Conan Doyle and other people in Victorian times. This spirit stuff detracted from the status of his work as a naturalist. It is interesting that Wallace could be considered a forerunner of the Intelligent Design movement. I need to reign in a moment here and explain something. Biblical creationists tend to distance ourselves from the ID movement per se because their organizations reject unguided natural processes and believe that something, somewhere, was behind it. They do not proclaim the Creator as revealed in the Bible; their adherents include folks from several religions as well as agnostics. However, creationists use intelligent design examples and arguments quite frequently, but within a creationary framework. Seems that Alfred would have fit right in with some of the ID organizations that exist today. It is interesting that Alfred rejected what is now the pseudoscience of astrobiology. When Percival Lowell said there was life on Mars and someone up there built canals, Wallace debunked the claims and also professed disbelief that life existed beyond Earth. Stigler's Law Aside, Shouldn't Darwinism Be Wallacism? I have no idea if Flannery is a biblical creationist, but this interview was both interesting and informative. Unfortunately, I have to point out that while RSR host Bob Enyart has some excellent material supporting biblical creation, he supports "open theism", so I recommend suspicion of some of his theology.